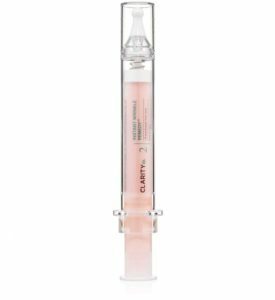 Our acid-based correctors are highly concentrated acids that are designed to create dramatic changes in the skin. These are recommended to be used twice weekly in the evenings for best results. Always be sure to use our SkinDefense SPF 30 when using our acids. Your one-stop-shop for luminous, clear and smooth skin. These pads are saturated with alpha and beta hydroxy acids to increase cell turnover and detoxify pores. The non-abrasive exfoliating properties help minimize the size of pores, reduce the appearance of wrinkles and enhance the tone and texture of your complexion. Perfect for an at-home mini-peel or used regularly for problematic skin. A medicated exfoliating pad to help clarify skin imperfections and soften wrinkles. 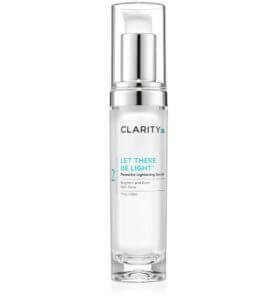 Your one-stop-shop for luminous, clear and smooth skin. 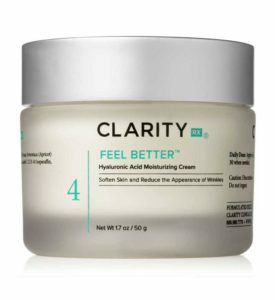 ClarityRx Pick Me Up Booster Pads are saturated with alpha and beta hydroxy acids to increase cell turnover and detoxify pores. The non-abrasive exfoliating properties help minimize the size of pores, reduce the appearance of wrinkles and enhance tone and texture of your complexion. Perfect for an at-home mini-peel or used regularly for problematic skin. 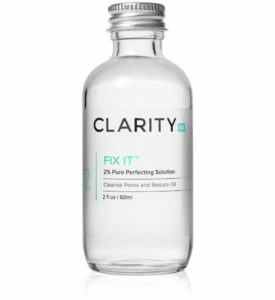 Clears skin and minimizes the appearance of large pores. Improves the skin’s clarity by enhancing cell turnover. Apply 1-2 times weekly, increasing to one time daily as tolerance develops. Excellent for problem-prone skin or as a weekly at-home treatment for all skin types. May cause a slight sloughing and irritation if overused. Distilled Water, Alcohol, Glycolic Acid 10%, Salicylic Acid 2 %, Arginine, Aloe Vera, Extracts of Chamomile and Green Tea.